Our hearts are heavy today as we face the reality of losing 5 officers from Dallas. Although we don’t know them personally, they are our family. You know them because you are them. Like them, you run towards the gunfire to protect innocent lives. You defend those who protest against us because you signed up to fight for freedom of expression even if it is dissenting. When an officer’s life is stolen, a part of us dies with him/her and yet you show up every day and continue to be guardians for the city of Aurora and the citizens we serve. I am often asked, “What is the Aurora Police Department doing to ensure that we don’t become the next Ferguson?” Ferguson has now become synonymous with every city that has experienced civil unrest over the actions of a police-involved shooting. I tell everyone who will listen: “We are doing the same thing post Ferguson et al as we were doing pre-Ferguson.” The men and women of the Aurora Police Department approach each incident to which they respond with professionalism and restraint. Where there is force to be applied, we do so within the confines of the United States Constitution and without excess. Our team of trainers dedicate themselves to developing scenarios where our officers learn skills to effectively handle a threat, as well as to bring the incident to a successful outcome through de-escalation techniques. Where other police departments have cut training during tough economic times, this police department and our city officials refuse to do so. We play like we practice and every training scenario in which you participate translates into appropriate action on the street. Those outside this profession cannot know what it’s like to respond to a call where a person is reported to have a gun. No one outside of this profession knows that feeling you get when you make the walk to approach the driver on a traffic stop and how you tap the trunk to make sure it’s closed, look in the window for a clue of what you might be confronted with inside, and attempt to determine the mindset of the occupants. No one who hasn’t been in a situation where you have to predict with precision what is about to happen understands the gravity of decision-making when tensions are high and adrenaline is pumping. Contrary, we don’t know what it’s like to be on the other end of a police encounter where a human looks at every officer as someone who may hurt or even kill them. We certainly cannot begin to comprehend the emotions of the families of the two African American men who lost their lives to the police earlier this week. We as the law enforcement community would be remiss if we didn’t dissect these tragic outcomes with a critical eye. We must create a culture where we can learn from mistakes so that we don’t repeat them. But first we have to be able to acknowledge when mistakes are made. We stand with officers when they are right but we must part with those officers who dishonor our badge. Loyalty is honorable. Blind loyalty is irresponsible. I can’t say it any better than this officer. 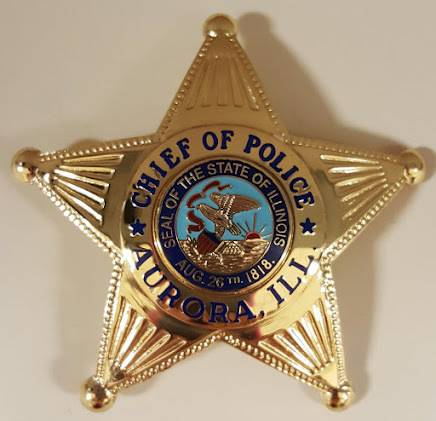 We are the Aurora Police Department and we are good. I know your hearts are heavy today as you mourn the slain officers but I need you to transform the weight you carry into something positive. Today and every day forward, go out of your way to talk with the citizens of this fine city. Find someone who doesn’t look like you and have a meaningful conversation with them. Build bridges and knock down walls. Continue to look at people and not down on them. I have been bombarded today with e-mails and texts from citizens sending well wishes and prayers so please know that Aurorans from all cultures and backgrounds are sending you energy. They have your back and so do I. In short, keep policing this fine city with excellence and professionalism. I couldn’t be more proud to serve each and every one of you as your chief. I read this with joy and hope. Thank you for being so honorable in what you share with your officers. May God protect each and every one of you and one by one we can make the world better. Blessings. Thank you, Chief Zinman, for your professionalism. It is good to know that your community has entrusted you with the authority to serve and protect. Prayers for you and those who serve under you as you pursue justice for all. Thank you and Mayor Weisner for your compassioniate and ethical voices! This is what Protect AND Serve looks like. I have been in some powerful conversations with activists nationally. I remind them when they say, "what about where you are doc?" I remind them that APD, from the leadership of Chief Powell through and continuing with Chief Ziman, our department acts with professionalism, courage, restraint and a sense of working together as neighbors, not looking down on us citizens.